Do over the counter teeth whitening products work as well as professional options? My dental professors taught me that bleaching teeth was a dangerous and bad thing to do. We learned that tooth color is a consequence of how light reflects off the tooth surface. 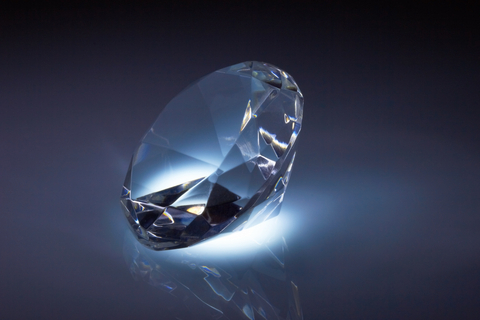 If this surface is strong and shiny, light will refract off the enamel crystals and sparkle like a diamond, looking healthy and white. Today young dentists learn about tooth color during their training, but companies selling whitening products usually present this information to them! Tooth enamel is colorless – like glass – something that surprises most patients. When enamel is damaged by acidity it becomes porous as little holes open between the enamel crystals. Soft enamel will stain easily, and also allow light to travel through, showing the yellowish part of the tooth (the dentin) underneath. An observer sees this tooth as darker, but the changes are simply in reflection and refraction, and should warn a patient that acidity is attacking their teeth. One shocking fact is that most Whitening Strips are extremely acidic (as low as pH 1.5) which will further damage “yellowish” enamel, that is already weak and porous. What makes teeth Naturally Whiter? Oral care that helps remineralize enamel will restore strength and whiteness to weak or dull teeth. Using a rinse like Closys before brushing lifts surface stains, and xylitol with dilute fluoride helps make enamel smoother, more mineralized and brighter. I have 80-year-old clients whose yellowing teeth became a healthy white color, just with protection, remineralization and exposure to xylitol over a couple of years. The problem with bleaching is the negative effect of peroxide on healthy biofilm (the natural film that protects teeth). Minerals will dissolve out of teeth and although peroxide can lighten teeth, damage from bleaching may render teeth sensitive, weak and more likely to stain! Even more serious is the fact that peroxide releases mercury from silver fillings, which is a problem for someone with lots of fillings who is bleaching often. Peroxide can also damage gums and even kill the nerve of the tooth if you have deep unfilled cavities in your mouth. My suggestion is to use a sensible routine to strengthen your teeth daily for at least a year, preferably two, and then – if you are still unhappy with the color of your teeth- invest in the safest whitening performed by the best dentist you can find! ‹ Hate Going to the Dentist?